British Gas has introduced a programme to encourage startups to develop internet-connected smart technologies for the home. In an interview with Computer Weekly, Kass Hussain, director of technology for British Gas Connected Homes, said: "There is plenty of smart technology in the living room like the Xbox, PS3, smart TVs and Sky boxes. But everything outside the living room is in a time capsule. We want technology everywhere in the home." The idea of automating lighting and heating remotely has been extremely costly until now, according to Hussain. He said such systems were the preserve of millionaires due to the cost of the propriety hardware needed to control them. But thanks to Moores Law, the internet, radio communication standards, and hardware like the Raspberry Pi, such technology is much more affordable. While the IT startups market is generally dominated by software firms, Hussain said hardware innovation would be key to connecting smart homes to the internet. British Gas is running a competition with a £30,000 prize to attract startups to develop connected home technologies. One such startup, Aikos, provides a device and software that connects to a fuse box and is able to control, monitor and manage central heating usage. The device has a colour LCD display to show power usage. It can connect to the internet to enable remote management of central heating. The company said three buildings in Paris are currently using the system. Another startup, My-cube.com has developed a home automation system to manage lighting and heating using the Z-Wave radio mesh network. 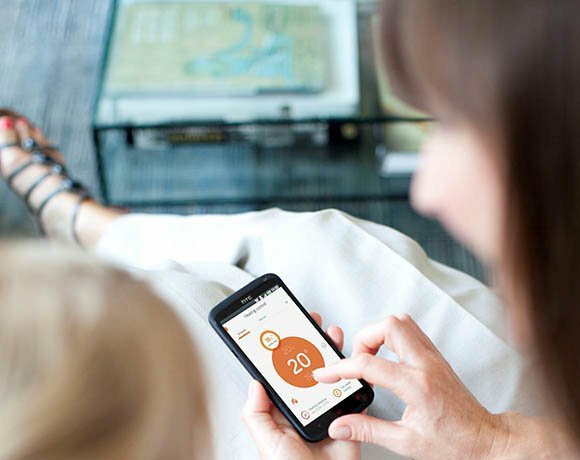 The company has developed a product to manage home energy usage, using internet-connected motorised central heating radiator valves, a Z-Wave relay for switching on house lights over the web and and the Danfoss Z-Wave-based thermostat. The Z-Wave devices connect to the internet using a hub based on the Raspberry Pi.